Narelle here. My first fiction book release with Harlequin’s Heartsong Presents line, Falling for the Farmer, is scheduled for February 2014. On the last Tuesday of each month, I’m posting information on the new Heartsong Presents releases for the following month. 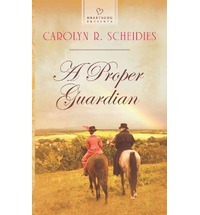 Harlequin publishes four Heartsong Presents books each month: two contemporary inspirational romances and two historical inspirational romances. They also publish the Love Inspired books, including contemporary romance (Love Inspired), historical romance (Love Inspired Historical) and romantic suspense (Love Inspired Suspense). International readers outside the USA and Canada can purchase the print books online from Amazon and The Book Depository (free international shipping). If you’re looking for inspirational (Christian) romances to read, please check out the Heartsong Presents and Love Inspired books. Megan Conley can’t believe her eyes. That handsome man who keeps popping up all over town looks a lot like her boyfriend, Michael. But Megan hasn’t seen him since he vanished unexpectedly, leaving her searching for answers. Turns out the stranger is Michael’s cousin, Noah, and he seems to have her best interests at heart. Could Noah help explain Michael’s absence? Laura Bell is home for good. Twelve years ago she left her home behind—but she could never forget the boy next door. 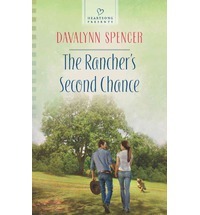 Now, hurting from a broken engagement and fed up with city life, Laura returns to her family’s ranch. But her homecoming is bittersweet. Twelve years apart has changed Eli Hawthorne. Yet the bond they once shared has only deepened with time. Eli never gave up hoping that someday Laura would return to their small ranching town in the California foothills. But the battle-scarred soldier is a world away from the carefree boy he once was. And Laura has her own wounds to heal. Together they just might fill the empty places in their hearts and find the love of a lifetime. Lady Winter Renton will marry only for love. As the sole heir of her family’s country estate, Lady Winter is plagued by greedy aristocrats looking for a marriage of convenience. Perfectly capable of running the estate after her father’s death, she is infuriated by their scandalous proposals. She wants more than a heartless merging of property and bloodlines. Until she meets true love, Winter vows to carry on alone. Winter’s appointed guardian, the dashing Earl of Alistair, is intrigued by his lovely young ward, and whisks her to London for a season of elegant balls and lavish soirees. As his admiration for her turns to love, Lord Alistair finds himself ensnared in rumors of political conspiracy and social scandal. Can Lady Winter trust in Lord Alistair’s love, and have faith that God has a plan for the two of them—together? Rancher Jared Callahan eagerly awaited the arrival of his mail-order bride. But instead of the kindhearted woman who wrote about escaping her constrained city life, the beauty who arrived in his remote frontier town couldn’t remember anything. Not him, not their long-distance courtship, not even her own name. What is he going to do with this petite spitfire? Dazed and confused from a railway accident, Rebecca Layne finds herself saying “I do” to the handsome stranger who claims to be her betrothed. But as feelings for Jared blossom, the mysteries of her past threaten to unravel her life at the seams. 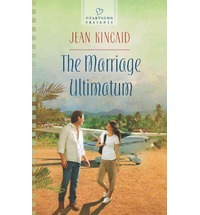 Only when the truth is finally revealed can this marriage of convenience ever become a true union of love. The youngest child of a Navy pilot and a journalist, Jennifer acquired a love of adventure and an excitement for learning that continues to this day. She’s lived in three countries and traveled throughout the United States. 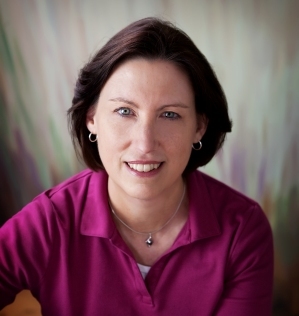 An avid reader of classics and historical fiction, she also enjoys biographies and histories, which she mines for the vivid details to bring to life the characters and places in her books. Her debut novel An Heiress at Heart was chosen by Grand Central Publishing to be the first inspirational romance for their Forever imprint. She resides with her husband in the southeastern United States–where, when not writing or dreaming up romantic adventures for her characters, she can be found fantasizing about her next ski trip or international vacation. A youthful indiscretion has cost Lizzie Poole more than just her honor. After five years living in exile, she’s finally returning home, but she’s still living a secret life. Her best friend Ria’s dying wish was for Lizzie to assume her identity, return to London, and make amends that Ria herself would never live to make. Bearing a striking resemblance to her friend, and harboring more secrets than ever before, Lizzie embarks on a journey that tempts her reckless heart once again . . .
Narelle: I really enjoyed reading this book and liked the Aussie connection in the story. 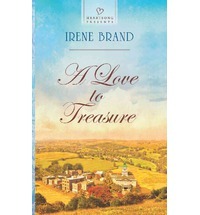 Lizzie is a fascinating character who made unwise choices in London that led her to seek refuge in Bathurst, Australia. Lizzie meets Ria in Australia and their uncanny physical resemblance raises a number of questions in the story. Lizzie fulfils Ria’s dying wish by returning to London and assuming Ria’s identity. What Lizzie doesn’t count on is falling in love with Geoffrey, Ria’s brother-in-law who she can’t legally marry while continuing to impersonate Ria. Geoffrey had never met the real Ria in person, but I did question why Ria’s relatives seemed to easily accept that Lizzie was Ria. My questions were answered in an exciting and satisfying ending. The faith element in the story was more understated than in many inspirational romances and themes of honesty and integrity were addressed as Lizzie dealt with the consequences of her deception. 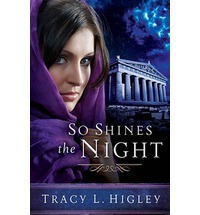 I recommend this book to those looking for a fun and intriguing historical romance. Many thanks to NetGalley for providing a review copy. How Far Would He Go To Keep Them Safe? It was more than a break-in. More than a stalking. It was personal. When a stalker targets his family, journalist Jack Crittendon must uncover who the person is and what his motives are–if he is to protect the ones he loves. It will lead Crittendon into a world of behind-closed-door secrets and faith gone awry, as does his investigation of a missing pastor, whose apparent suicide is more than it appears. Each move Crittendon makes weaves him tighter and tighter into a web of lies, greed, hypocrisy, sin, and danger. He believed he’d never give in to fear. But that was before. And holding on to his faith won’t be easy. Nor will keeping his family safe, and ending the terror. Because that might require him to step over lines he never dared to cross. Narelle: This book is action packed from the start and I couldn’t put it down. The plot twists kept me turning the page to learn what happens next. Jack’s faith is tested and pushed to the limit when a dangerous stalker threatens to destroy his family. 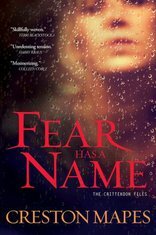 Fear Has a Name deals with hypocrisy and corruption in unlikely places. It has a supernatural element and the manifestation of evil in the world is a strong theme in the book. Jack and his wife, Pam, learn that evil can arise in unimaginable ways. Being a good person and doing the right thing by God is not a ticket to an easy life without fear, pain, struggles and hardship. I recommend this book to those looking for an exciting supernatural thriller. I live on an island in Northwest Washington. 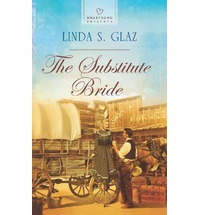 A writer of Christian Fiction, my debut novel, No Substitute, is now available from Pelican Book Groups. During the day I work at my local hospital as a cancer registrar. During the evenings and on weekends, I write novels that I hope will bring joy and uplift the hearts of readers. I am married and have one grown son. I love to travel and see new places – especially by train. My favorite destinations are Victoria, B.C. ; Williamsburg, Virginia; Disneyland; and Avila Beach in California. I love to read, write, go to baseball games, and ride roller coasters with my son. I am a member of American Christian Fiction Writers; Romance Writers of America; Faith, Hope and Love; National Cancer Registrars Association; and Washington State Tumor Registrars Association. You can find me on Inkwell Inspirations, a daily Christian Women’s blog where I am a regular contributor. You can also find me on my personal blog, Suzie’s Writing Place where I share my faith, my writing, and my love for books. I’m also on Facebook and Pinterest where I can explore my love of beautiful historical clothing, the South of France, beaches, and certain television shows. Amy Welsh knew when she came back to the small Washington town of Goose Bay she’d eventually run into her high school sweetheart—the one who broke her heart seventeen years ago. Only Quentin Macmillan isn’t the boy she remembered. He could potentially be everything she’s ever dreamed of. 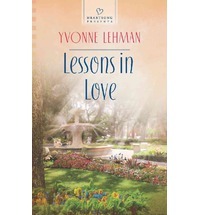 But remembering the past reminds Amy that she and Quentin aren’t a pair of teenagers in the bloom of first love. Letting him into her life resurfaces all the hurt she’s tried to ignore. Forgiveness isn’t as simple—or easy—as it sounds, especially after Quentin and Amy discover his teenage daughter has been manipulating their feelings. If Amy can open her heart to healing, she’ll find the future God prepared for her. 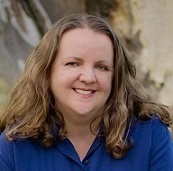 Narelle: I loved reading No Substitute and my book recommendation from December 6, 2012 can be found at the following link. Juan Antonio has a problem. Juan Antonio Fuentes wants to sell his father’s mango plantation. But before he can leave Mexico and head back to the U.S., he has to bring in a good crop. And that calls for the best fruit inspector in the region. But when a beautiful woman sets foot on his land, his life and his heart are turned upside down. Dealing with difficult men is all in a day’s work for Carina Garza. But she’s never met anyone like Antonio before. 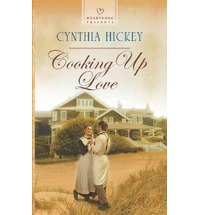 He’s both strong and sweet, and soon she’s falling head over heels for the handsome plantation owner. When he proposes marriage to her—with the condition she never work again—Carina is stunned. Can this modern woman earn both love and respect from her traditional man? Natalie Wentworth’s past is about to catch up with her. Natalie once dreamed of finding true love. Then Lane Gray broke her heart. After running wild to fill the emptiness inside her, she heads back to her hometown to heal. 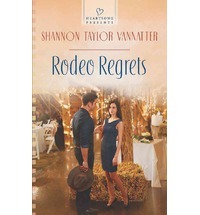 But when she sees the cowboy she once loved so much, she finds him hard to resist. Lane Gray is a changed man. The handsome cowboy wants Natalie’s forgiveness—and more. Natalie has made plenty of mistakes in her life, but so has Lane. Could falling for each other again be the worst one yet? Or the path to redemption? Marie Bolden might be learning more than she’s teaching. Wealthy, privileged Marie Bolden lives a life of comfort. So her father can’t understand why she’d leave her family in North Carolina to teach in a one-room schoolhouse. After all, there couldn’t possibly be anything to capture her interest in isolated Cades Cove, Tennessee. Except for the mysterious Daniel Watson. Daniel is a jack-of-all-trades. He’s a farmer, a rancher—and possibly a moonshiner. But he is not a believer. And that makes him the wrong man for Marie. Yet their affection for each other cannot be denied. When Marie is suddenly kidnapped, Daniel must turn to God for help before he loses the only love he’s ever known. Tabitha is in search of adventure. Tabitha McClelland knows accepting a job as a Harvey House waitress can be risky. Traveling alone to the rough-and-tumble West just isn’t done by young ladies of good breeding. But far more dangerous is her powerful attraction to Adam Foster. Family means everything to the widowed chef, but the self-sufficient Tabitha cherishes her freedom above all else. Adam is captivated by the fiercely independent Tabitha. Fraternizing with the female employees is strictly forbidden, but the Harvey Girl awakens feelings too compelling to ignore. Can Adam convince Tabby to share his dream of a future in California—together? Narelle: I loved reading this book. The first few chapters hooked me into the story and I couldn’t put it down. Daria and Lucas are intriguing and multi-layered characters. I wanted to see them triumph over their problems and achieve their seemingly impossible happily-ever-after ending. I enjoyed seeing the city of Ephesus, with a rich cultural heritage, brought to life on the page. Paul, Timothy and other Biblical characters we learn about in the book of Acts and Paul’s letter to the Ephesians play a crucial role in the story. The spiritual warfare element in the story is fascinating and I liked seeing the early church from the perspective of outsiders who were seeking to learn the truth. 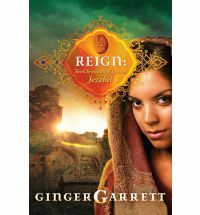 I highly recommend this book to those looking for an insightful and gripping Biblical fiction story. Thanks to Thomas Nelson and Net Galley for providing a review copy.